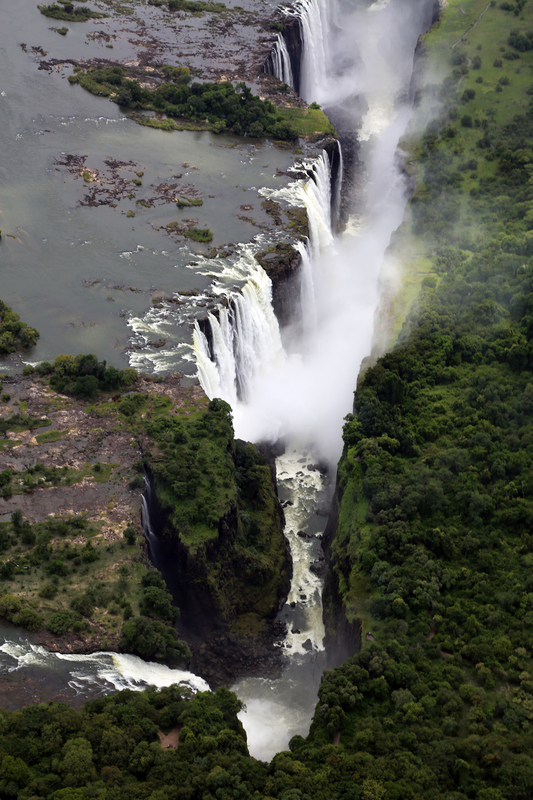 There are many thoughts and feelings that rise when you glimpse the Victoria Falls for the first time. They come to you, these epiphanies, with all the vigour of the Falls itself. 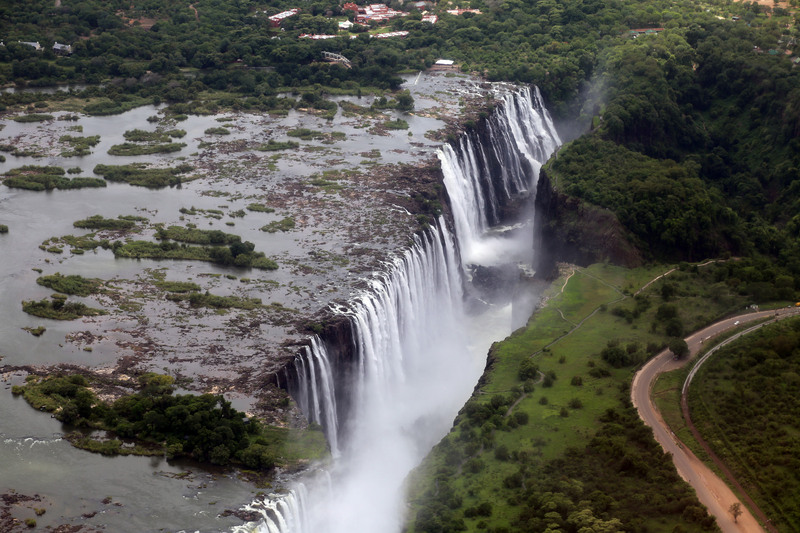 To say the least, it is impossible to behold the Victoria Falls and not be moved. There are many ways this world wonder has enlightened us and taught us about life, but here are ten that have stood out. 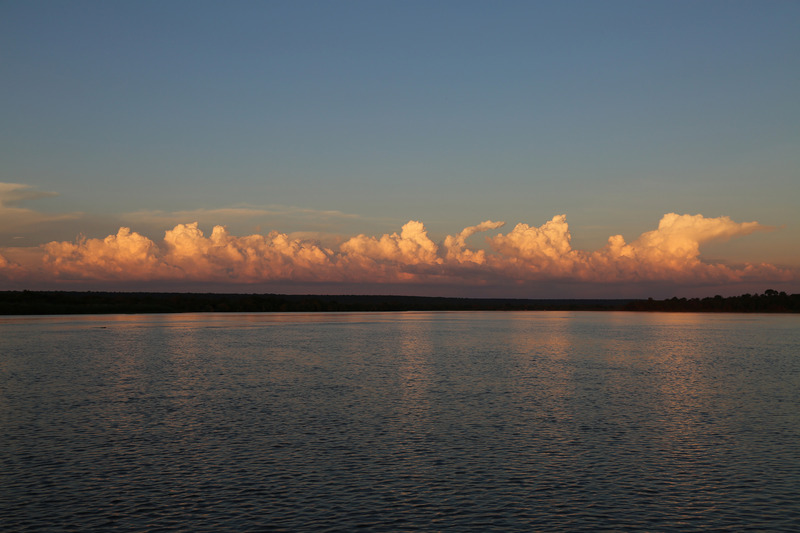 All images by our guest, Tara Turkington. 1. There will be highs and there will be lows. And there will be highs again. And lows again. Like the river water that rises in the rainy season and drops in the dry season. Season after season. Take time, like the river, to slow down, to rest, but never give up. 2. There is magic in the seemingly ordinary. The Falls, if you consider them simply, are really just a waterfall set against a very large crack in the earth, and yet, the total effect of such a curtain (the largest in the world) flowing over and into it creates one of the greatest visions you will ever see on earth. Don’t overlook the cracks. 3. The Falls are a true statement of natural beauty. They are not man-made and yet they stun us into awe. Into silence. Into that kind of feeling you get looking into the love of your life’s eyes. They are not perfect in any generic sense – they are not straight or smooth. But they are beautiful, because they are natural. They are life untainted, and as such they have a charm no hand could create. They teach us not only of the beauty of the natural world, the necessity and attraction of protecting earth’s wild spaces, but also in honouring and valuing natural beauty in ourselves, in seeing “flaws” and “imperfections” not as things to be altered, but things to be cherished – for their truth and character. 4. 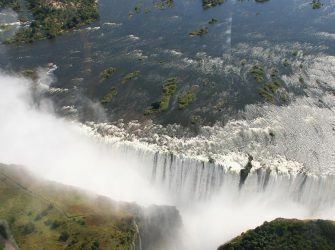 In the way that a genius is not made in isolation, but rather on account of the hard and prolific work of all the men and women that came before, so Victoria Falls and all her beauty came about because of eons of persistence and the hard work of nature, of its source, the Zambezi River, and the rivers and rains that feed it. That’s serious teamwork, right there. 5. 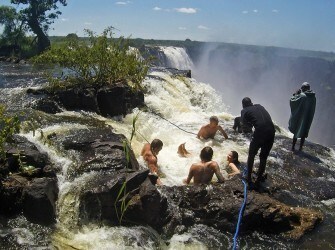 The first time I visited the Victoria Falls I was blown away by how easy it was to access. I imagined a much more arduous journey to reach such an impressive sight. Surely, I thought, it was going to require a Livingstone type of stamina and a few machetes. 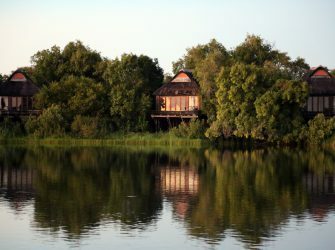 But from the lodge, it was a simple helicopter trip or a 30 km car ride away. A short winding walk and we were already under the cool spray of something I had been longing to see since my first National Geographic. Reality is often much easier than we imagine. 6. National Geographic would not suffice as a substitute for the real thing. That was clear. 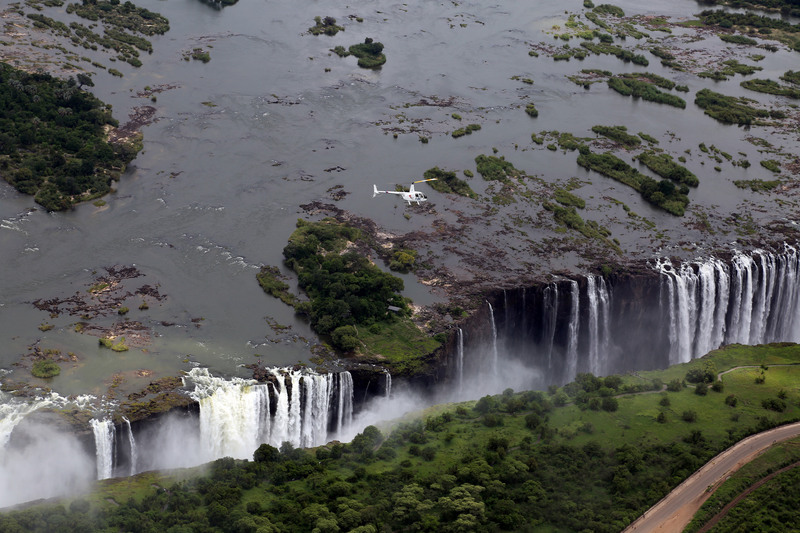 From then on, I had to see it all for myself – the Falls, the Zambezi, the gorillas, the active volcanoes. All that Africa held. As much as you can, the Falls taught me, strive to see the world with your own eyes. 7. There is much you do not know. (How were the Falls created? How long did it take to carve out such a gorge? Do crocodiles know not to swim too close to the edge?) That’s something travel teaches you in general, but something as grand and complex as this world wonder will drive that notion, and a terminal case of curiosity, right home. Keep your mind open. Be a student of the world. 8. Borders are unnatural. 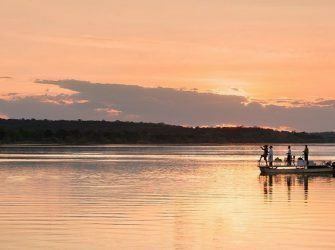 The Zambezi River is marked as the boundary between Zambia and Zimbabwe. Standing (or hopefully rather sitting in a boat) in the middle of it, you are nowhere. You are in Nomansland. 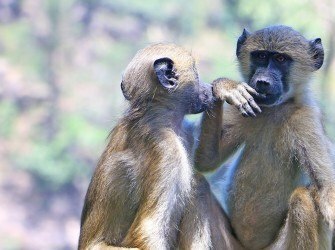 What you realise here is the man-made nature of the divisions we so often see as inherent or real. There is no real difference between us on either side of that boundary – no difference at the core. Rather than thinking in terms of us and them you start to see us all as one. 9. It’s up to you, this life, your journey. 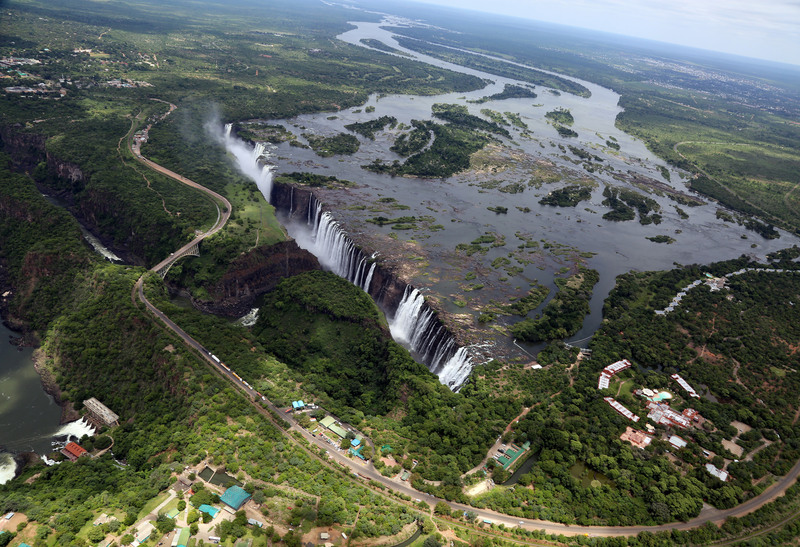 The Victoria Falls, like the Eiffel Tower or Himalayas, will not, cannot, come to you. You have to seek it out. It is not a rock band touring the world that you hold thumbs will stop by your hometown. This rock band demands you take charge, make decisions and make an effort. The satisfaction of finally standing before it, under it, in front of or on top of it, gives you a sense of power, of pride, of accomplishment. 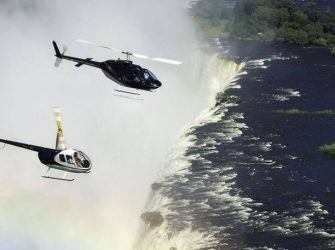 Something we can only imagine Sir David Livingstone and his team felt once reaching what he called, “scenes so lovely must have been gazed upon by angels in their flight. 10. Perspective. 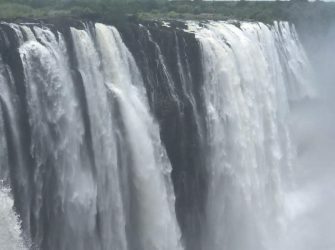 Just before we feel a little too proud and powerful, the Falls remind us of our place as individuals in the greater scale of things, of where we stand in terms of nature and the universe. 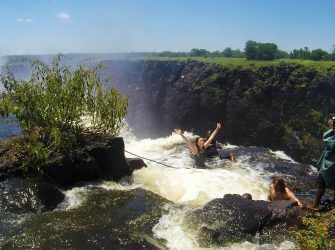 Looking up at or down over the immensity of The Smoke That Thunders, all 1708 metres of its width, and hearing the resounding, never-ending roar of the river crashing over the edge, is the sort of humbling experience only nature provides. It’s that “astronaut in space looking down at earth and out at the infinity of space” kind of feeling. The kind of feeling that instills a deep respect for the world around you.